Home / Uncategorized / The coming crisis, breath & #YellowVests: Where are we going? 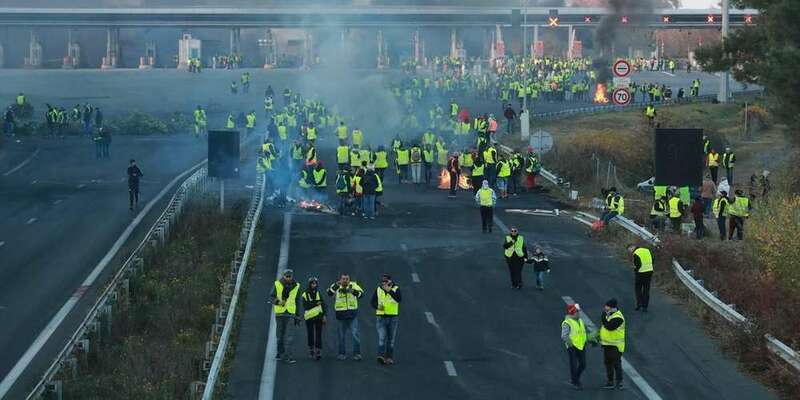 The coming crisis, breath & #YellowVests: Where are we going? Originally published by Paris Luttes. Translated by Otto Mattik and edited by Ediciones Inéditos. The few protectionist/trade war situations lead to a destabilization of product prices and a disruption of the interconnected (so-called) global balance that the business world, hand-in-hand with the major international political authorities, has been struggling to shape for 50 years. All economies are at a standstill, and the possibilities for recovery are in fact more than limited (see again, Portugal’s scam as a “revived left-wing economy”).